Shop Miss A Haul & Review! 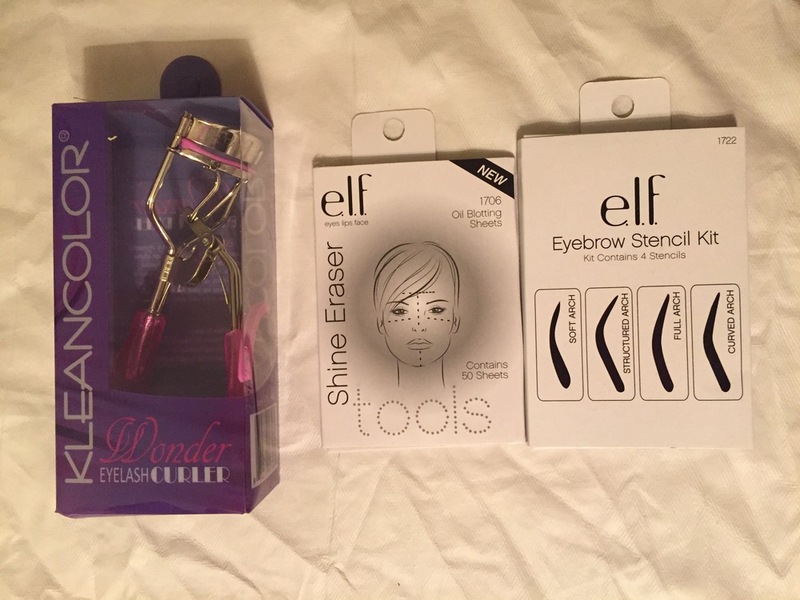 The make-up products were really all over the board on this purchase. Since most of these brands were brands I'd never heard of, I made my purchases based on the product alone. Most of the products were middle of the line, "just ok" products but the Kleancolor lipstick and Beauty Treats lip crayon stood out to me the most - on opposite sides of the spectrum. The Kleancolor lipstick's design and quality felt just like that of any other high quality lipstick I'd buy. Plus, I love the deep Rosewood shade. The Beauty Treats lip crayon, on the other hand, smelled so artificial that I had a hard time doing everyday things without being repulsed by its smell every couple of minutes. Unfortunately, I tossed the lip crayon after only a few uses. While I won't be shopping for makeup on Shop Miss A regularly, I do think it is an awesome resource for trying out new products if you're not yet ready to invest too much and just want to experiment a little before committing to an unknown product. 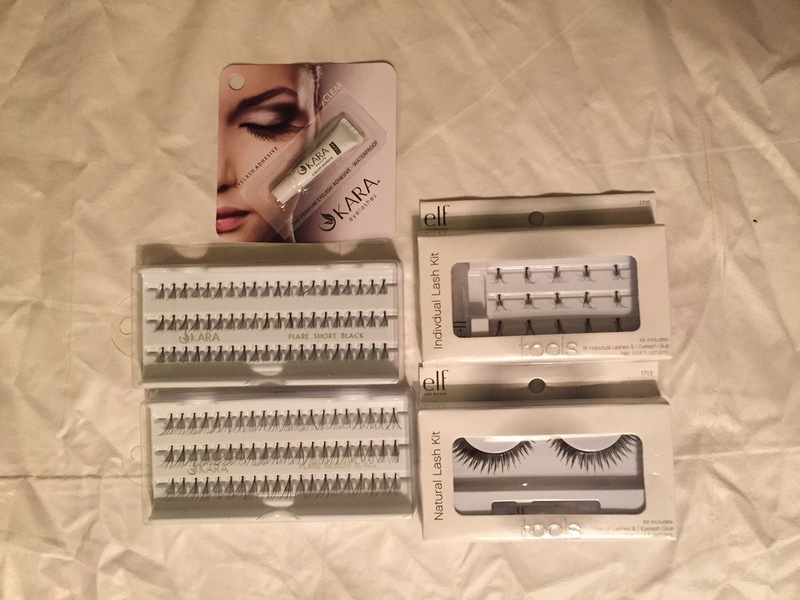 Since I've never tried false eyelashes before, I bought a variety of different false eyelash sizes and kits so that I could figure out what works best for my eyes! Given that everything was only $1, this was an awesome opportunity for me to try a new make-up product without having to break the bank. 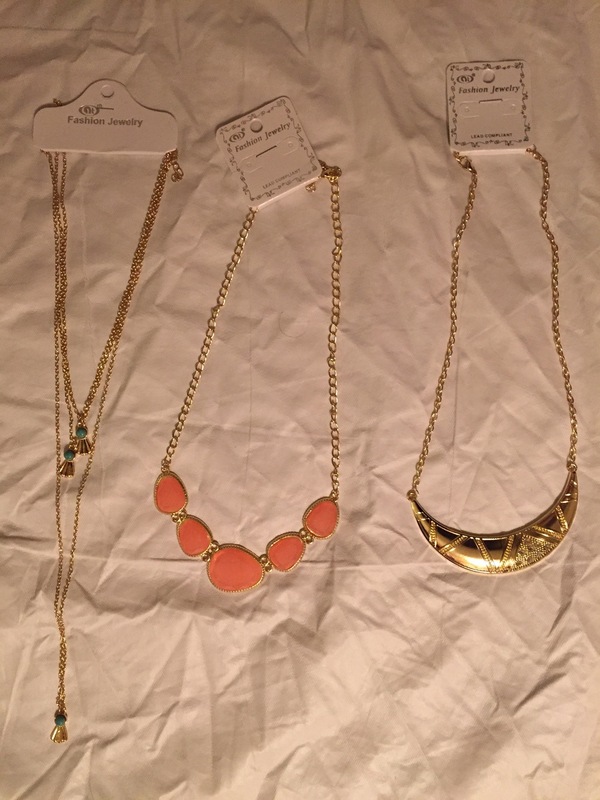 The jewelry I bought was definitely my favorite part of this Shop Miss A haul! While a couple of the pieces came a little bit loose, most of the jewelry looked like jewelry I would buy at any other store - but for a way lower price! I especially loved the statement necklaces - they appear to be well made and easily brighten up my outfits. Plus, I got to try a couple of trendy new threader and front/back earrings! Plus one for the accessories department of Shop Miss A! I also decided to try out a couple of their more miscellaneous categories. Since I'm constantly losing my hair ties, I threw in a pack of hair ties for good measure. Unfortunately, I wasn't too thrilled with the hair ties since they ended up being a lot thinner than I had expected and since I have pretty thick hair, they haven't been holding up too well. I'm also a huge stationary junkie so I was excited about the $1 washi tape (especially since washi tape can get very expensive), however, I was sorely disappointed because there was hardly any washi tape on the roll! On the plus side, though, I am in love with the leaves hair barrette - it's adorable and looks fantastic in an updo! I guess with any purchase, you win some and you lose some, right? Overall, my experience with Shop Miss A has been positive. While the quality of everything wasn't the greatest, I wasn't really expecting too much in the first place since everything was so cheap. In total, it was definitely worth the $31 I paid for the whole lot. I received a bunch of stylish accessories that I will definitely be wearing in the future and got the opportunity to try a ton of other products without making a huge investment in experimental new trends! While I don't think I'll be looking to Shop Miss A for any of my regular makeup purchases, I'll probably hop on a couple of times every season to take a quick look at any new accessory or makeup trends I want to test out. Have you tried out Shop Miss A? How was your experience? I’d love to hear your thoughts!